Map of the OCA's Diocese of Eastern Pennsylvania. 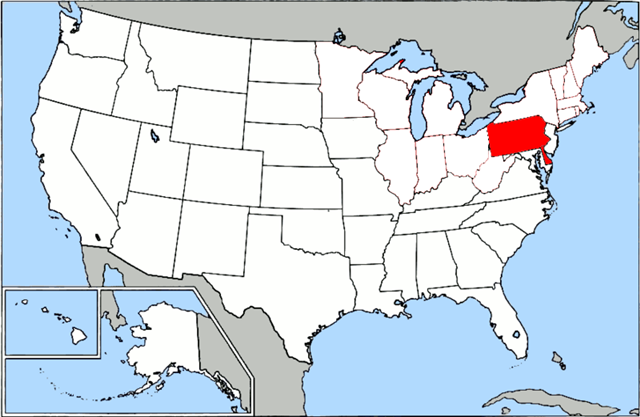 Created by me and uploaded to http://en.wikipedia.org/wiki/Image:800px-Map_of_USA_highlighting_OCA_Diocese_of_Eastern_Pennsylvania.png originally. Permission is granted to copy, distribute and/or modify this image or document under the terms of the Attribution/Share-alike Creative Commons License, Version 2.5 or any later version published; with no Invariant Sections, no Front-Cover Texts, and no Back-Cover Texts. Subject to disclaimers. This page was last edited on December 31, 2006, at 20:53. This page has been accessed 1,104 times.